An auction of new radio spectrum licences has fetched almost $17.4 million, following a week-long auction where 126 AM and FM radio licences were sold across the country. This is the thirteenth auction of spectrum licences and/or management rights, with 173 licences up for sale. The auction is for commercial AM and FM radio broadcasting licences which are currently unused or have been allocated on a temporary basis which will run from December 2014 to April 2031. Successful bidders will be required to implement a 24-hour, 7 day-a-week service within two calendar years of the licence being transferred to the successful bidder. As the first time a radio licence auction was conducted through Turners and Trade Me, Adams says after reviewing the process the method has proved to be an “efficient and reliable way” to sell frequencies. One auction started a bidding war for a Christchurch radio licence which fetched more than $7.8 million. Huntsbury Hill was the only licence available covering Christchurch City, with the largest population coverage of all licences in the auction. With a price per head of $22.86, the Huntsbury Hill licence is the highest price licence ever sold with Trade Me confirming that this is the single largest auction on the site ever. 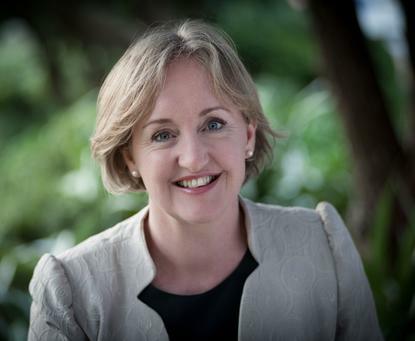 “The willingness of commercial radio stations to pay more than $7.8 million for a commercial FM radio licence in the area is a vote of confidence in the future of Canterbury,” Adams adds. 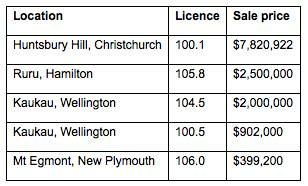 Licences for New Plymouth, Hamilton and Wellington also fetched high prices ranging from $400,000 to $2.5 million. “The auction was a great success across the board and will create more certainty across the radio broadcasting sector, particularly those who were previously on temporary licences,” Adams.